Circa 1790s French soft sotton quilt blockprinted in two different delicately drawn floral designs.Soft mauve, rasberry and blue flowers on meandering branches make for a fresh and charming textile. 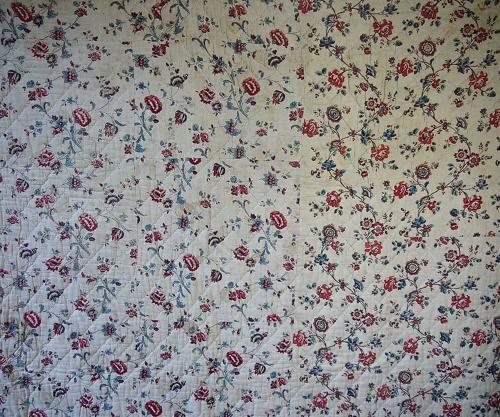 Backed in a soft linenof with an edge bordered in a 8cm wiwdth of one of the designs. Some faded marks and small faded stains.